If I had to pick one of the sweetest days of the year, I’d have to say that it is Valentine’s Day. From sweet gestures to tempting treats, it’s such a fun day to celebrate. 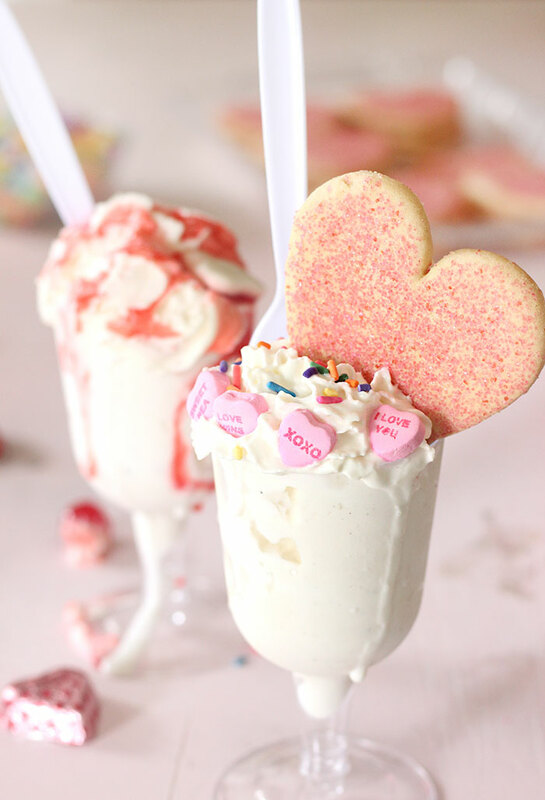 I’m going to show you how to take the holiday of love to the next level with a festive DIY Ice Cream Bar that your sweeties are sure to adore. To get your Valentine’s Day plans in order, plan a trip over to your local Family Dollar. 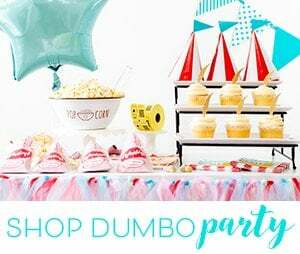 You’ll find everything you need to put together this special ice cream buffet on any budget. Let’s dig in! Creating a delicious dessert is easy when you create a DIY ice cream bar. Everyone gets to pick out their favorite toppings and it makes the occasion more memorable. 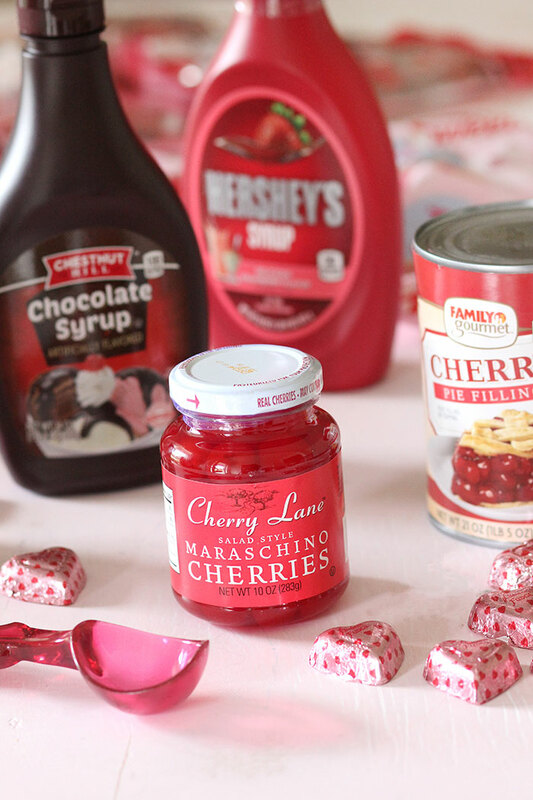 We’re going to get extra creative to turn our regular sundaes into something festive with these tasty finds. Family Dollar has so many fun Valentine’s Day goodies this year. 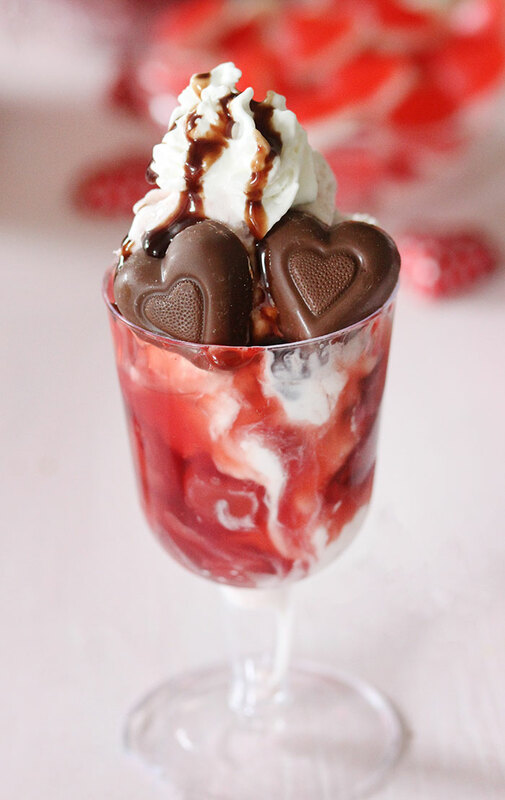 The heart-shaped candies are an absolute must for an ice cream bar. Hot picks? 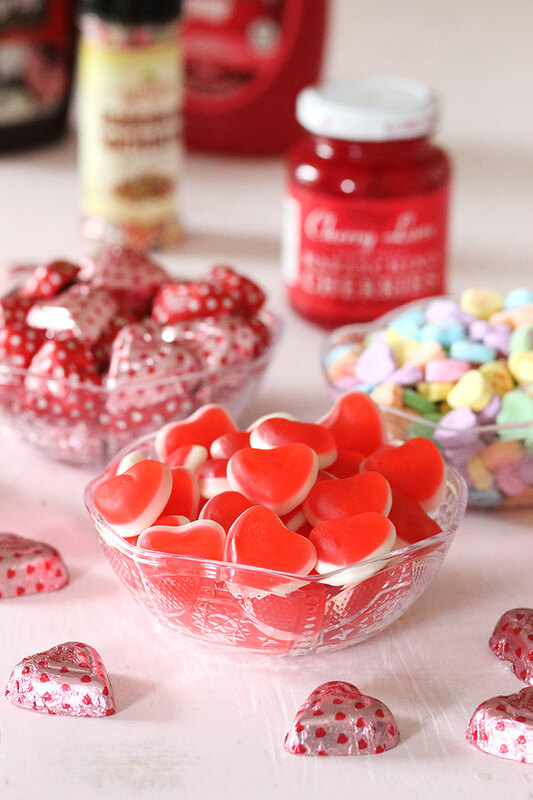 Conversation hearts, chocolate hearts and gummy hearts, too! Last… but not least, don’t forget to stock up on your family’s favorite ice cream flavors. 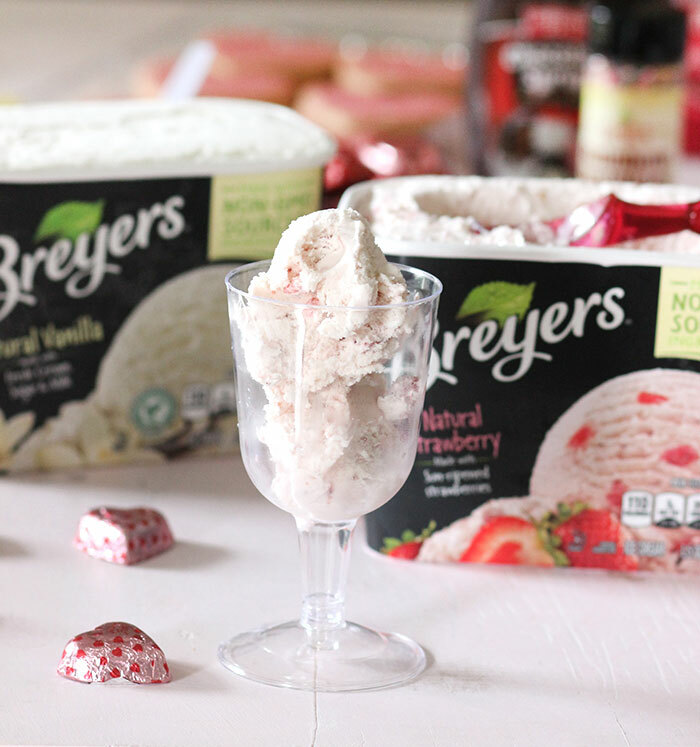 Vanilla, strawberry and chocolate ice cream flavors are the perfect base for any Valentine’s Day sundae if you ask me! Don’t be shy! Have fun creating your festive treats. Valentine’s Day only comes once a year, after all. Start planning your special day by checking out the selection of Valentine’s Day supplies at Family Dollar. Yum. You had be at ice cream! Looks like you got all the goodies to make this complete. My husband has been on my back to get the strawberry Hershey's syrup. I love this idea for Valentine's Day! 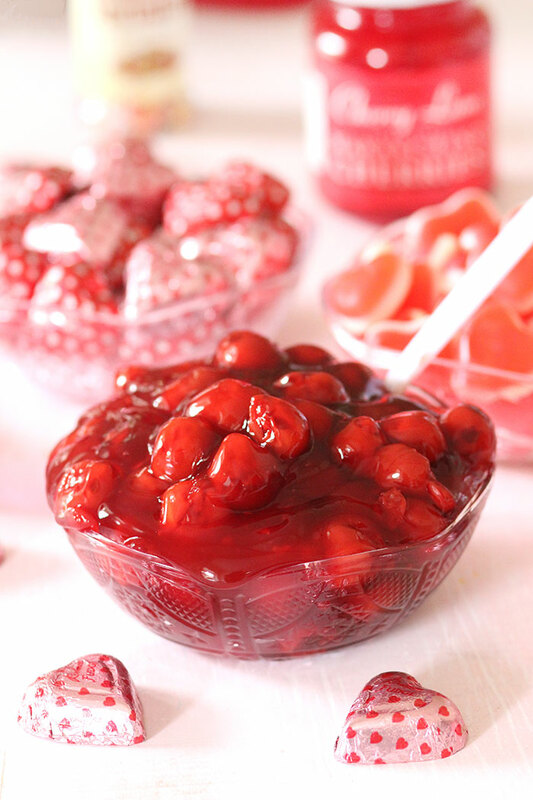 Such a great sweet treat! Such a cute idea the last time I followed one of your dessert post I drank 8 cups of hot chocolate lol. You have such awesome ideas. This is just so pretty and fun! I want to recreate this ice cream bar! This ice cream bar is right up my alley! I totally, totally would love to enjoy this right now. I think this is what I will do for my kids on Feb 14th~! What a cute idea. I've been looking for something to do with my girl's group at church and this is perfect. Valentine's Day is definitely a sweet day. 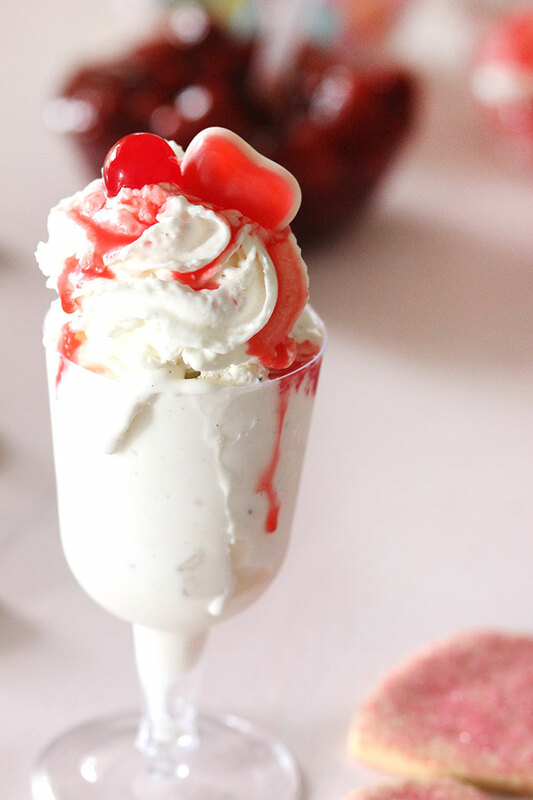 And your festive DIY Ice Cream Bar will make it even sweeter! Thanks also for the Family Dollar tip. 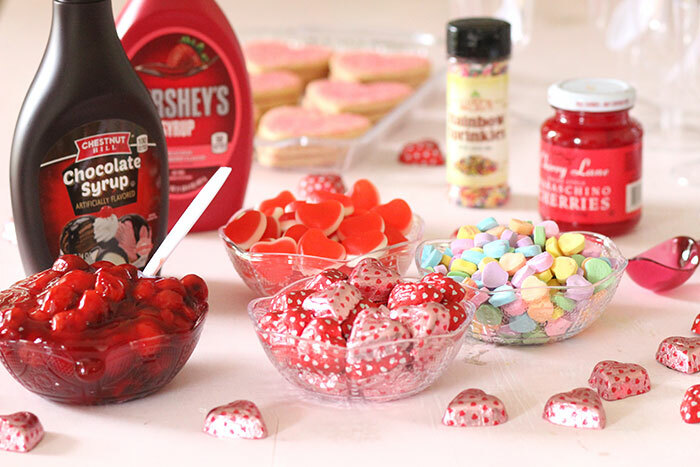 Those heart shaped chocolates, gummies and cherries will make the ice cream that much better. I will be sure to share my ice cream with that special someone on Valentine's Day. 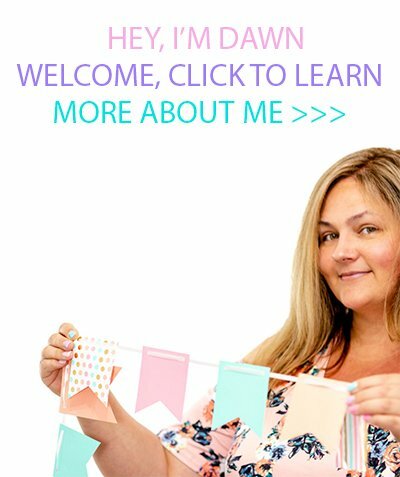 What a fun idea! We should do something like this for Valentine's Day this year. I know my husband would love it and I'm pretty sure my kiddo would love it too. That is such a sweet idea. I love this because it's perfect for the whole family. It's a great way for all of us to celebrate Valentine's Day together.